Since the announcement last September that Brett Deyo was taking over the “Track of Champions” in 2019, there have been numerous announcements made during the winter months that have fans, drivers, car owners, and anyone involved in the sport excited about the 2019 season at the Fonda Speedway. 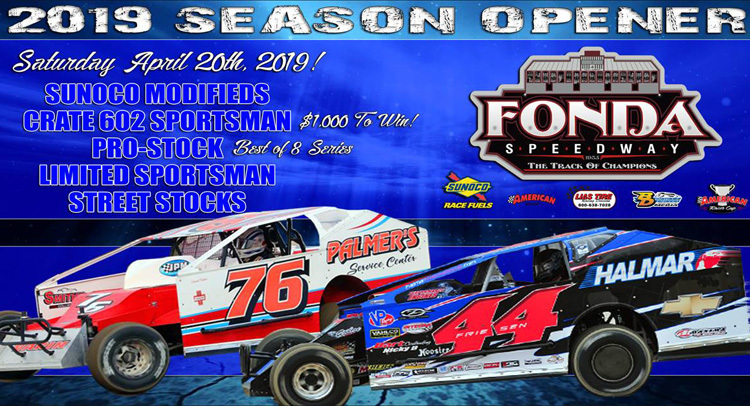 With the new management team under the BD Motorsports Media LLC promotion, Fonda Speedway launches into the 2019 campaign with reduced admission, special events, and larger purse structures. It’s truly a “win-win-win” for fans of the Montgomery County half-mile track. 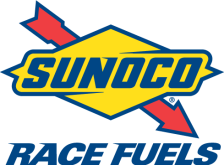 The Sunoco Modifieds will kick off the historic 2019 racing season at the Fonda Speedway on Saturday, April 20 with some serious cash on the line. The opening night winner will take home a $4,000 paycheck! While the stars and cars compete for some big cash on Opening Night, the fans can enjoy this race unfold before their eyes for NO EXTRA ADMISSION COST! That’s right; Adult Grandstand Admission will remain at $11, Seniors 65-plus stay at $9.00 and Kids 11 & under are FREE! Also on the April 20 Racing Card will be the 602 Sportsman ($1,000 To Win Thanks To Eric Orozco Racing), Pro-Stock (Best of 8 Series), Montgomery County Office for Aging Limited Sportsman, and the Trackside Body Works Street Stocks. Gates will open on Saturday, April 20 at 3:30 p.m. with hot laps at 5:30 p.m. and racing at 6:30 p.m. The inaugural opening day event at Fonda was held back in 1948 when Buddy Shuman was the winner. Fast forward to 2018 when Stewart Friesen was the winner of the opening day event, leading all 50-laps to take the first of a total of eight wins at Fonda in 2018. In opening day events at Fonda held over the last 67 years, Jack Johnson leads the way with eight opening day victories in 1972, 1976, 1982, 1983, 1988, 1991, 1992, and 1994. Following close behind with seven opening day wins is Lou Lazzaro who won events in 1963, 1964, 1966, 1969, 1971, 1977, and 1978. Two drivers have taken home five opening day wins as Dave Lape (1981, 1984, 1989, 1993, and 1995) and Pete Corey (1955, 1956, 1959, 1962, and 1967) both accomplished the feat. 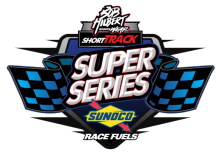 Jeff Trombley has four opening day victories in 1997, 1999, 2000, and 2002 while Bobby Varin (2001, 2005, and 2010), and Stewart Friesen (2015, 2016, 2018) both have three wins. Jim Luke (1954, 1957), C.D. Coville (1979, 1980), Danny Johnson (1990, 2007), Pat Ward (1996, 2009), and Stewart Friesen (2015, 2016) all have two wins apiece. Drivers who have one victory in opening day events at Fonda are Buddy Shuman (1948), Chuck Kotwica (1953), Irv Taylor (1958), Bill Wimble (1960), Tom Kotary (1961), Ken Shoemaker (1965), Don Wayman (1968), Rene Charland (1970), Maynard Forrette (1973), Dave Pelczar (1974), Pep Pepicelli (1975), Jimmy Horton (1985), Bob McCreadie (1986), Mike Romano (1987), Dave Camara (1998), Brett Hearn (2003), Tim McCreadie (2004), Mitch Gibbs (2006), Ronnie Johnson (2011), Mike Mahaney (2012), Matt Sheppard (2014), and Justin Boehler (2017). Fonda Speedway management would like to thank the following sponsors who have come on board to sponsor the “Track of Champions” for the 2019-racing season. They are, in no particular order, BD Motorsports Media LLC, Eric Orozco, American Racer Cup presented by Sunoco Racing, Bob Hilbert Sportswear Short Track Super Series fueled by Sunoco, Sunoco Race Fuels Bruce-Insinger of Insinger Performance, Lias Tire, Bob Hilbert Sportswear, Fuccillo Automotive Group, John Lakata, Autism Awareness, Corr Pak Merchandising, One Zee Tees, Greco’s Auto & Truck Parts NAPA, Trackside Body Works, BBL Construction Services, Recovery Room Sports Grill, Palmer’s Service Center, Bill Lake Homes, Montgomery County Office for the Aging, Benjamin Moore Paints, DKM Fabrication, MW Roosevelt & Sons, Roosevelt Towing & Recovery, Teo Pro Car, Montgomery County Championships, Mav-TV, Make A Wish, School House Pools, and A-Verdi Storage Containers! Since 1953, the “Track of Champions” Fonda Speedway has hosted the best in stock car racing. Now under the management of BD Motorsports Media LLC, the speedway will operate weekly on Saturday nights from April through August plus several special events. Fonda Speedway is located on the Montgomery County Fairgrounds off New York State Thruway Exit No. 28 at 21 S. Bridge Street Fonda, NY 12068.